Founded in 1980, in Fort Lauderdale, Florida by Joseph E. Farrell, Jr. A United States Coast Guard and United States Navy veteran. Farrell acquired his first tug and served as captain and owner when he founded his marine salvage operation in Florida and the Caribbean. In 2006, Resolve acquired and developed a nine acre port facility near Mobile, Alabama to serve the Gulf of Mexico. The company expanded internationally, opening first a United Kingdom operations base followed by Singapore operations, to serve Europe and Asia. A Mumbai office followed. And in 2010, the company acquired a New Orleans based naval architecture and marine engineering firm to form Resolve Engineering Group, Incorporated. 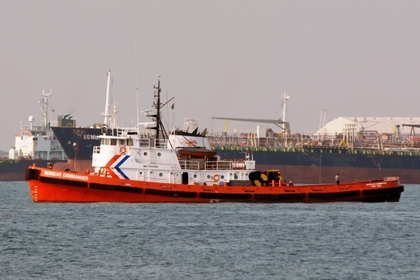 In 2011, the company formed a Ship Pollution Response Organization joint-venture in China. The Shanghai-based Shanghai Resolve-Shengmin OSRO Company (SRSOC) provides oil spill response services throughout the People's Republic of China ports and coastal waters. Resolve Marine maintains operations in the United Kingdom, Singapore, India and China as well as the United States. With project offices in New Zealand and Namibia. Resolve has also founded a Maritime Academy. That has also expanded, providing state-of-the-art simulator-based navigational and safety training to leading cruise lines and commercial vessel operators.